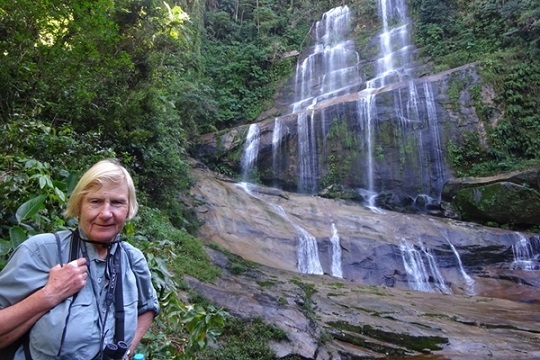 After more than 15 years of being a World Land Trust (WLT) Friend, Sally Pedlar has visited one of WLT’s projects, Reserva Ecologica de Guapiaçu (REGUA) in Brazil. 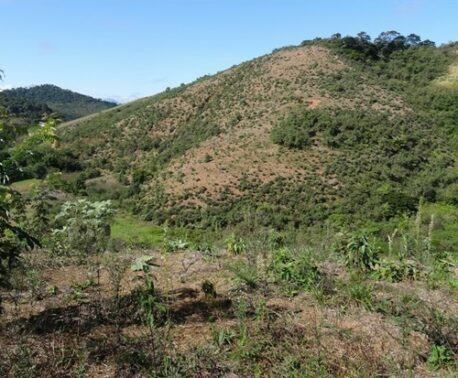 From the incredible Atlantic Forest landscape and wildlife watching to a tour around the tree nursery which supports the restoration project, she tells WLT how rewarding it was to see the conservation work on the ground after being a supporter for so long. 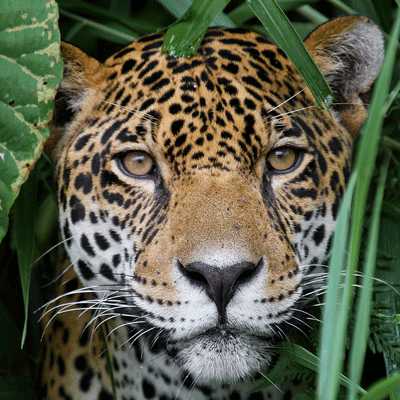 Sally first heard about REGUA through an article in WLT News, and as she had always liked South America and its wildlife became concerned about the threatened Atlantic Forest habitat. When an opportunity to visit the project area itself came up in a travel brochure in 2015, she felt she had to go. 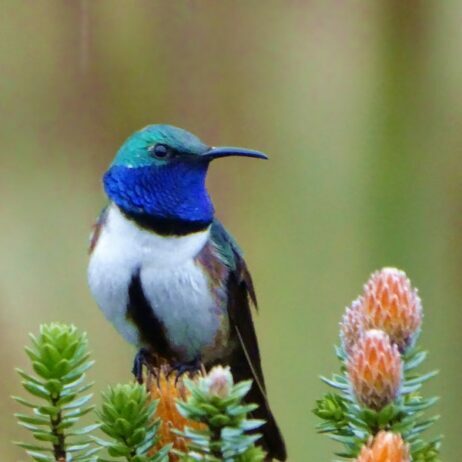 “I had long hoped to visit a WLT supported reserve so it seemed the obvious choice, and I was not disappointed.” Sally told WLT. “Our tour leader, Andy Foster, knew Nicholas Locke (REGUA co-Director and Founder) and told us he had been involved right at the beginning when the idea was conceived to restore the wetland and increase the protected area to actively save parts of the Mata Atlantica. 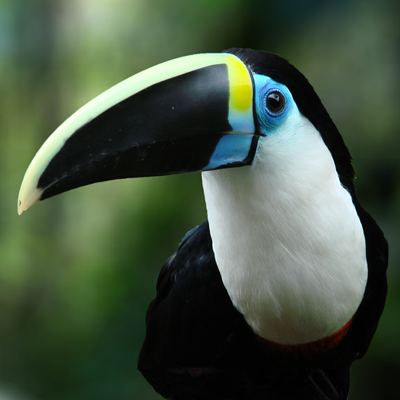 REGUA’s mission is not just about preserving the remaining Atlantic Forest habitat, but also reconnecting islands of forest through the restoration of degraded land. 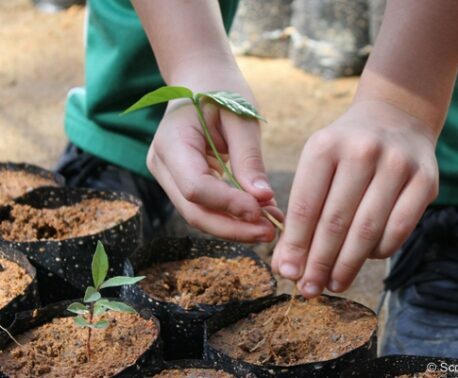 WLT supports this project through the Plant a Tree programme, where donors can support the planting of one tree of a native species for £5. Sally visited the nursery where saplings for the tree-planting project are grown. “I was very impressed with the nursery. Seed is collected from the reserve and sewn there and I could see hundreds (if not thousands) of pots of plants in all sizes, to be planted out on degraded land as it is required. 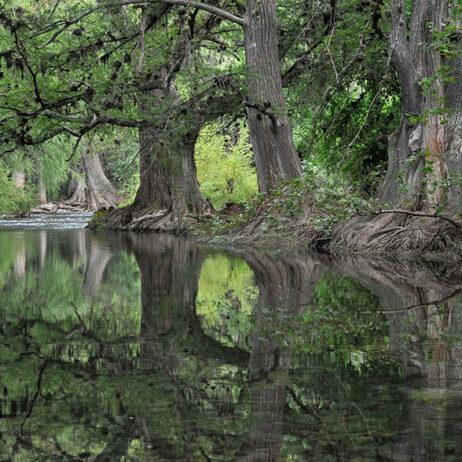 Sally has returned from her trip with a new understanding of the importance of conserving these habitats and the effect of restoration models, “I think it is vital to preserve and restore forests to protect the species who live there. Have you visited REGUA or any of WLT’s projects? We’d love to hear your story. Leave us a comment below or email our Halesworth office.